For lunch we share two toasted sandwiches: Sweet & Spicy Tuna with Swiss Cheese and capers, and Sliced Chicken Breast with Swiss. We had a chuck roast in our Keller Crafted meat box and decided to do a pot roast, but with Massaman flavors. 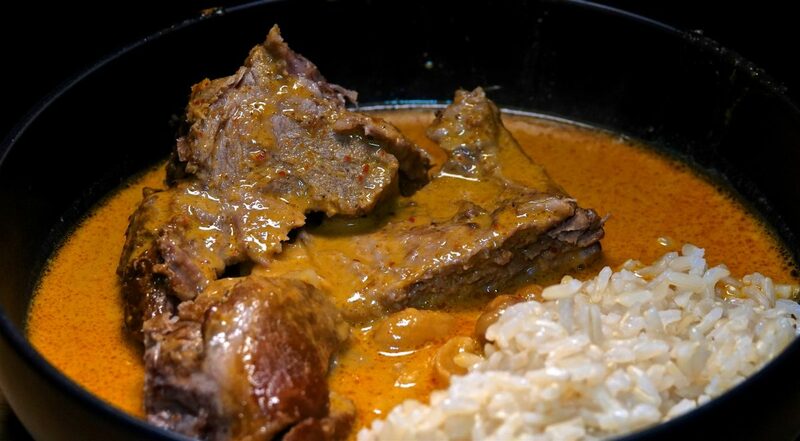 We served half the pot roast with curry liquid and rice tonight, and kept the rest of the meat for sandwiches. The curry was very good, and the beef incredibly tender. A really good meal for $8.42 per serve.